Our sense of sight is the physical sense we rely heavily on in our everyday life, for example to move around, to organize our lives, to choose and purchase products, or to assess foods and beverages before agreeing to taste them. Hmmm.... would you taste an apple with some brown spots and wrinkled skin? We have similar interactions or expectations with the product when we taste wine. We rely a lot on the visual information we collect from the wine color and appearance. Sometimes, our natural trust in what we see can be misleading. We all have been surprised by magical tricks, creating visual illusions. I describe in a different section some of the classical sensory illusions that may trick your judgment during wine tasting. Learn more about tasting errors. This section gives an overview of the mechanisms involved in using our sense of sight, the main physical sense utilized during a wine tasting. It will help you understand the good sensory practices described in the Wine Tasting Basics and How to Taste Wine sections of this website. 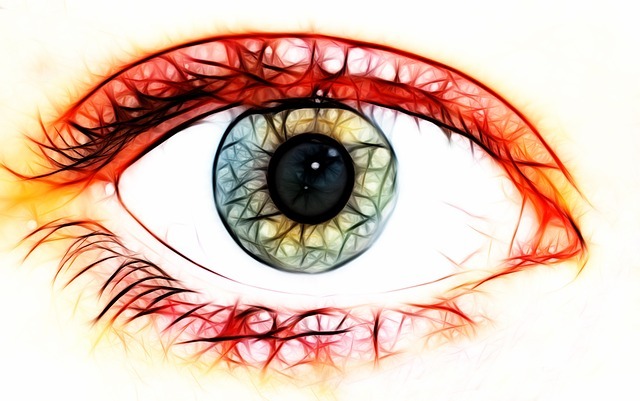 For more comprehensive descriptions of the physiological and neural pathways leading to visual perceptions, I invite you to consult the academic literature on senses; some articles and books are listed in the learning resources section. The visual stimuli leading to visual perceptions are in fact wavelengths of light,which are detected by two different types of receptors: the cones and the rods located on the retina. With our sense of sight, we can assess the different attributes of wine appearance: its color, clarity, or density. The two types of visual receptors (rods and cones) receive light and transform it into neuro-signals. The rods are most sensitive to light and dark changes, shape and movement and contain only one type of light sensitive pigment. Rods are not efficient for color vision. However, in a dim room, we use mainly the rods, but are "color blind." Rods are more numerous than cones in the periphery of the retina. Back to wine tasting, the visual receptors “rods” help us perceive mostly the wine appearance, and not its color. The visual receptors “cones” are not as sensitive to light as the rods. However, cones are most sensitive to one of three different colors (green, red or blue). Signals from the cones are sent to the brain which then translates these messages into perception of color. Cones only work in bright light. That's why you cannot see color very well in dark places and therefore that visual evaluation of wine should be performed under natural and bright light. The cones are used for color vision and are better suited for detecting fine details. There are about 6 million cones in the human retina. Some people cannot tell some colors from others - these people are "color blind." Someone who is color blind does not have a particular type of cones in the retina or one type of cone may be weak. In the general population, about 8% of all males are color blind and about 0.5% of all females are color blind. The Ishihara test is well known for assessing the visual acuity of people as far as color is concerned.